These are not great quality images. 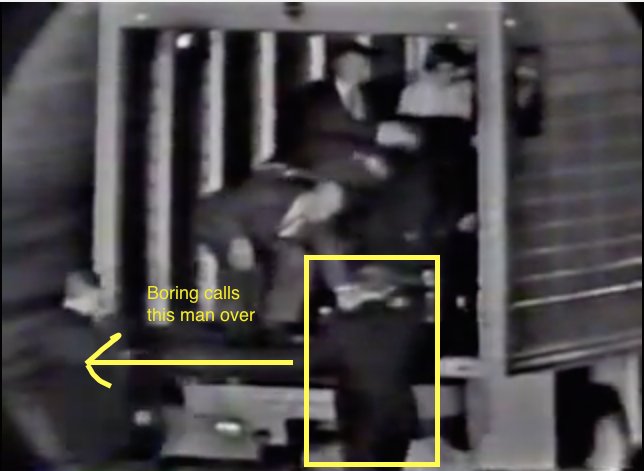 I screen grabbed them of a Youtube.com site that has a bad copy of the NBC "As It Happened" program. It's here. 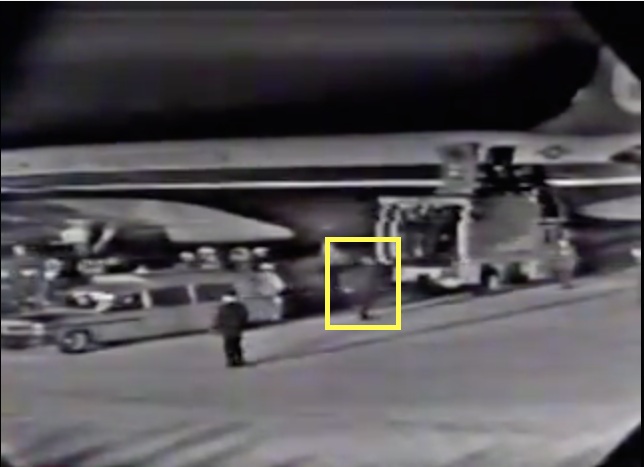 He's wearing a dark suit that in the Black and White TV signal looks black. 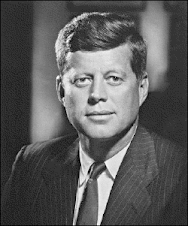 He is wearing a white shirt and a tie. He is also wearing glasses. I'm going to try to show as many frames of him as I can. He's visible a little bit before. Now that I'm zeroing in on this guy and I've watched this a few times I'm curious as hell about him. 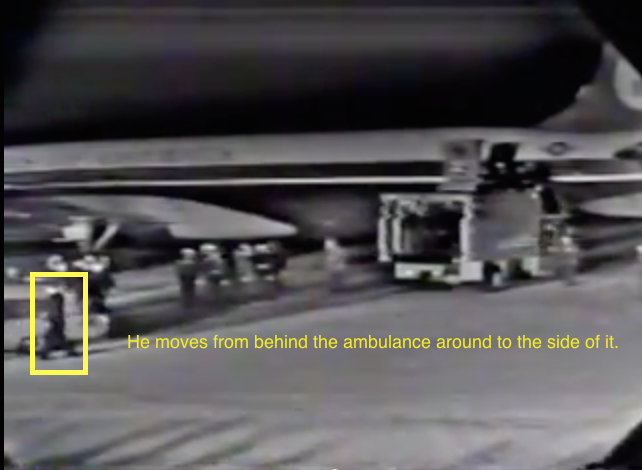 He moves from behind the ambulance to the side of it. 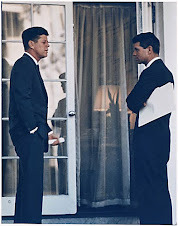 Image from 4:47. 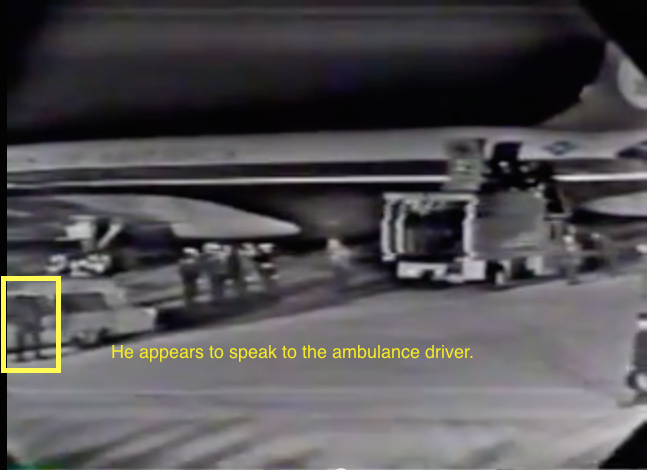 He then appears to speak to the ambulance driver. 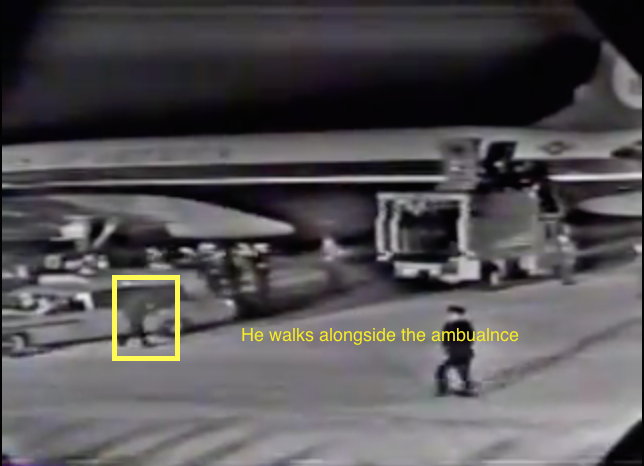 He walks alongside the ambulance guiding it to the truck. 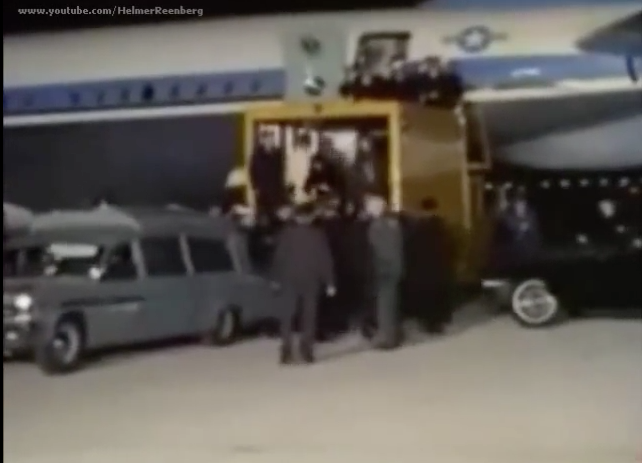 And then he walks back to the truck awaiting something to come to them so they can offload the casket. 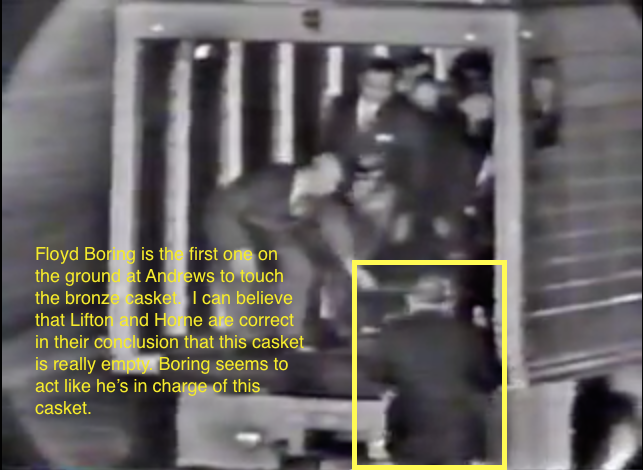 This image really disturbs me as Boring is the very first man who comes to the back of the truck with the elevator capability that many folks are on with the casket. They lower this truck and boom, Boring is there. 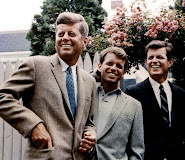 This image was taken at the 5:00 mark. 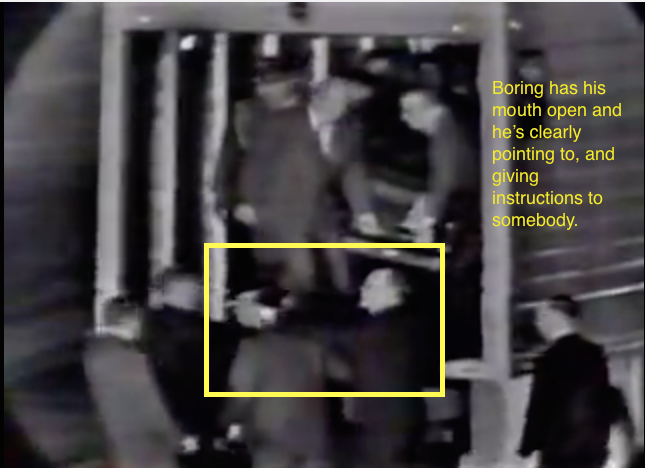 Boring seems to give instructions to the first two men, one in a suit, one in a military uniform. 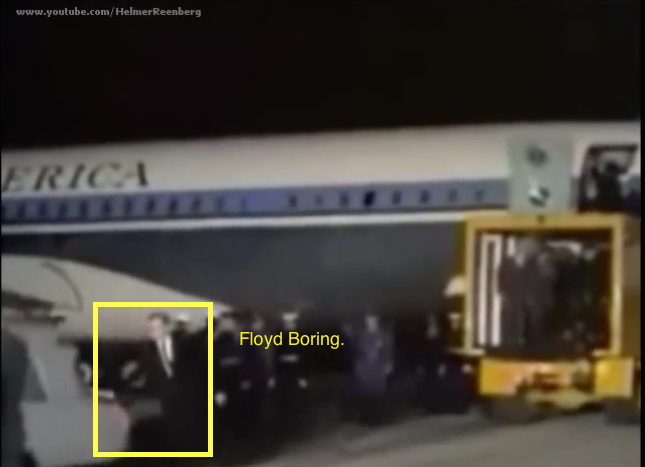 Boring calls a man over. Boring gestures for more men. 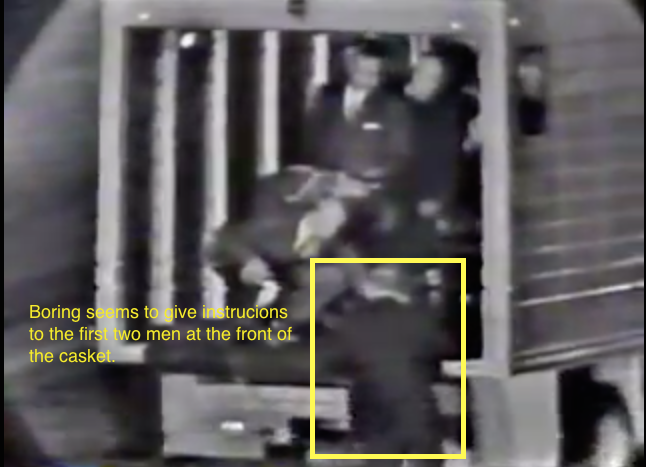 As men inside the truck lift the casket Boring seems to give more instructions. 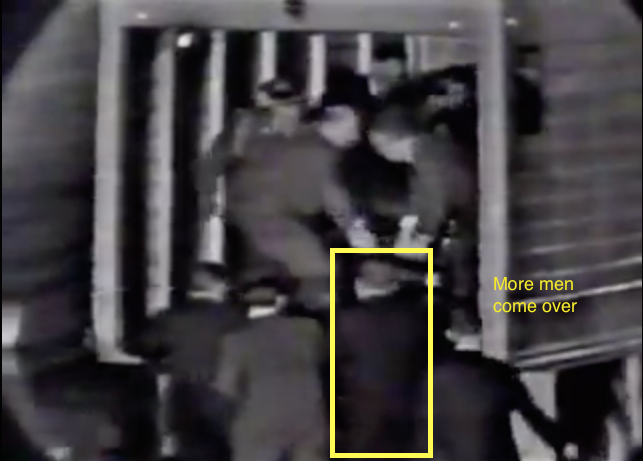 Clearly, several men in military uniforms came over. 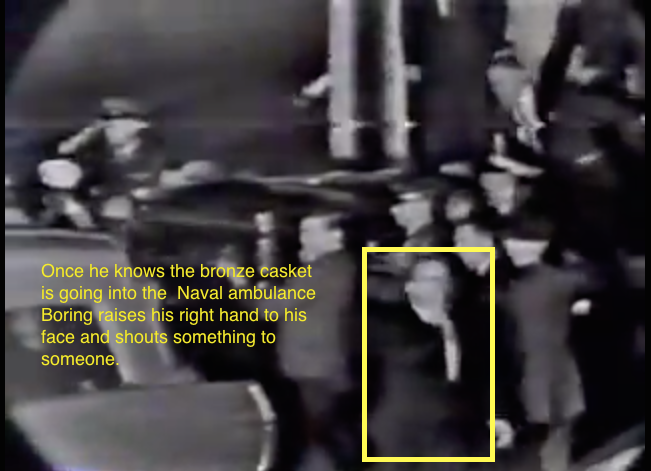 Once Boring knows the bronze casket is going to go into the grey Naval ambulance he turns away from it. 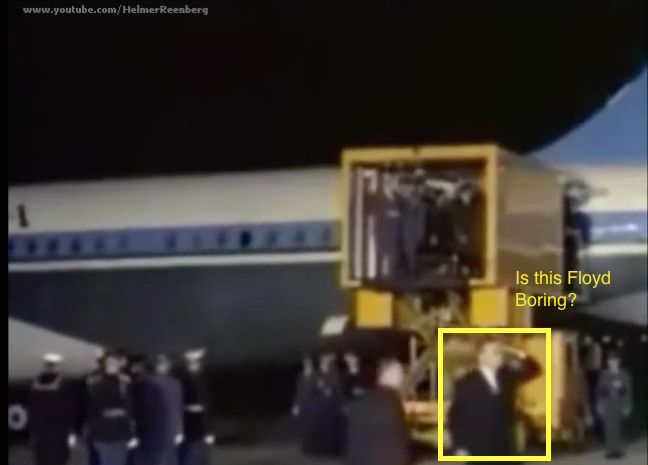 He raises his right hand to his face and shouts something to someone. 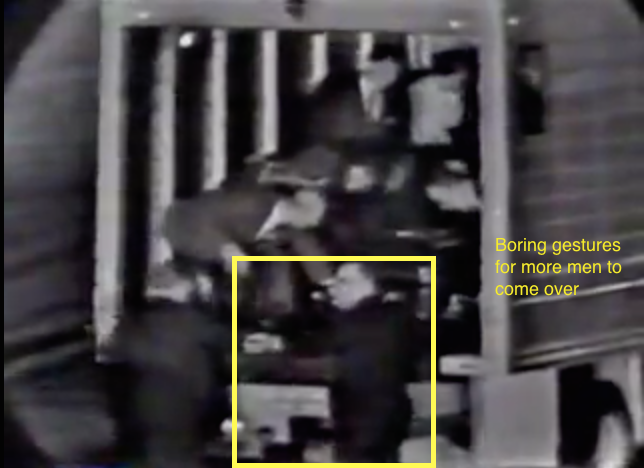 Boring then walks off in the direction he was going and goes off screen as the cameras stay focused on the casket. 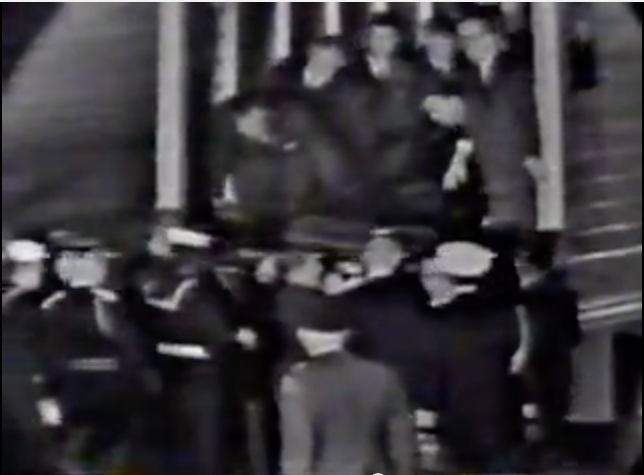 As Boring walks away one last man behind the casket jumps down and we can see Mrs. Kennedy for the first time. 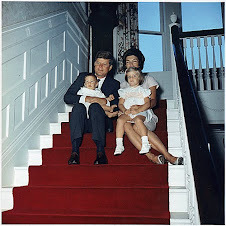 There is a color film of all of this that was recently declassified. You can see it here. Note in the image below that a black car drove right up to the side of the yellow truck. 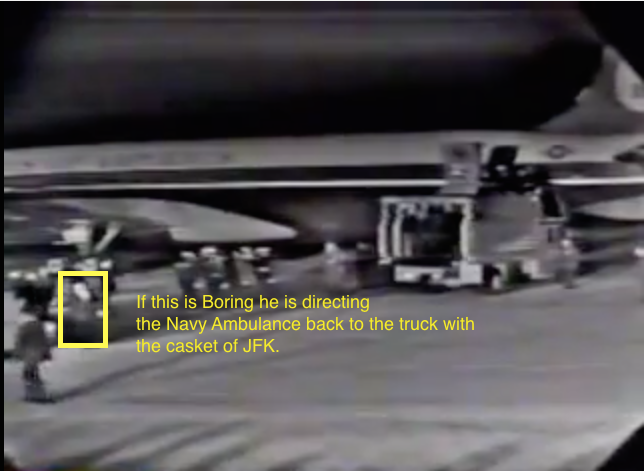 Also, it maybe Boring who talks to the grey Navy ambulance driver who was a young Black man and got him and a nurse out of the ambulance. 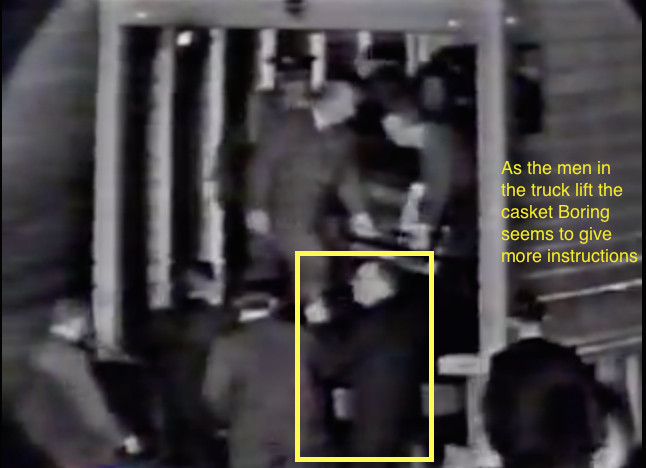 This ambulance was really for Lyndon Johnson over fears and rumors he had some kind of heart trouble in reaction to the assassination. 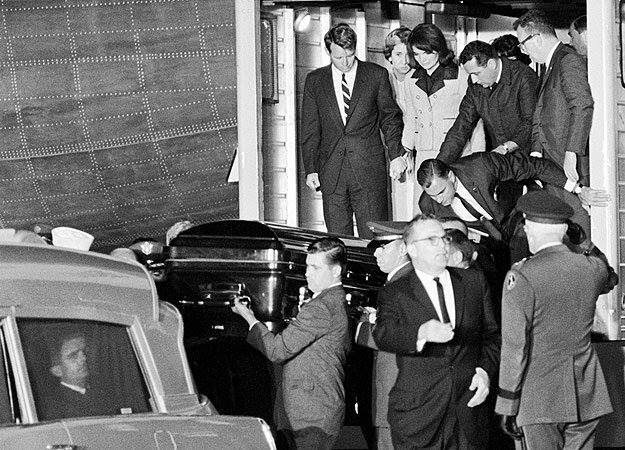 It was never meant to carry JFK's casket or to take Mrs. Kennedy and Robert Kennedy to Bethesda. 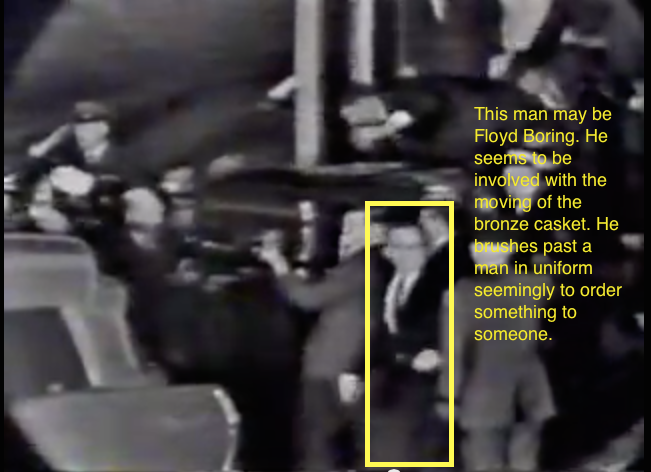 Vince Palamara confirms that the man I have a yellow box around is indeed Secret Service Agent Floyd Boring based on this good quality photo.